Attention fashionistas! The desi look is back in vogue, but with a spunky twist. For all those who feel that ethnicity is outdated, it’s time to refresh your knowledge and if you think that you cannot stand those simple and traditional saree drapes, this post is going to be a big treat for you! These days we’ve being witnessing the Indian saree in its spunky 21st century avatar, keeping up with the world that has progressed from gramophones to micro headsets. The saree has been an integral component of every Indian woman’s wardrobe all throughout these decades. From heavy ornate Kanchipuram silk sarees to sensual pastel coloured chiffon saris having frilly edges, sarees have been a rage as women wear them with pride as a trendy fashion statement! Stepping out of the draping monotony of seedh pallu and the Gujarati style pallu which had been ruling all these years, this era of ethno-chic and contemporary clothing has led to women experimenting with some out-of-the-box draping styles and making a mark with their individualistic wardrobe. There isn’t a written rule that your saree pleats have to be on the front side, you can have them falling from the backside of your drape too! Perhaps the best innovation could be doing just the opposite of what was being done all along! With the pleats on the back side, your pallu can be draped in the regular way or your can do some innovations there as well. Try this drape for thicker fabrics like dupion silk sarees and tissue sarees for a ballooned up and fairy-tale appeal! This fast-catching up trend has already invaded B-town, with veteran Rekha and also the young trend-setter Sonam Kapoor showing their love for this off-beat fusion drape. The bubbly beauty Parineeti Chopra was also recently spotted gracing the engagement ceremony of Akash Ambani in a trendy dhoti saree. Now that you know about the glam-element attached, a dhoti style drape sounds like a cool idea for your friend’s wedding, isn’t it? Fed up of carrying the pallu over your shoulder? Then just let it roll out over your left arm. This draping style is what you really need with a trendy designer blouse. 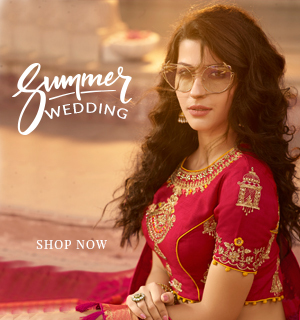 It is a truly modern ensemble to sport at an overseas destination wedding! Stun your audience at a cocktail party by sporting a black saree and a silver sequined designer blouse, with the pallu hanging over your arm. Now that’s a glamorous one, cheers! Accessorizing your favorite georgette sarees, linen as well as chiffon sarees with an ornate belt has been trending for quite some time now. 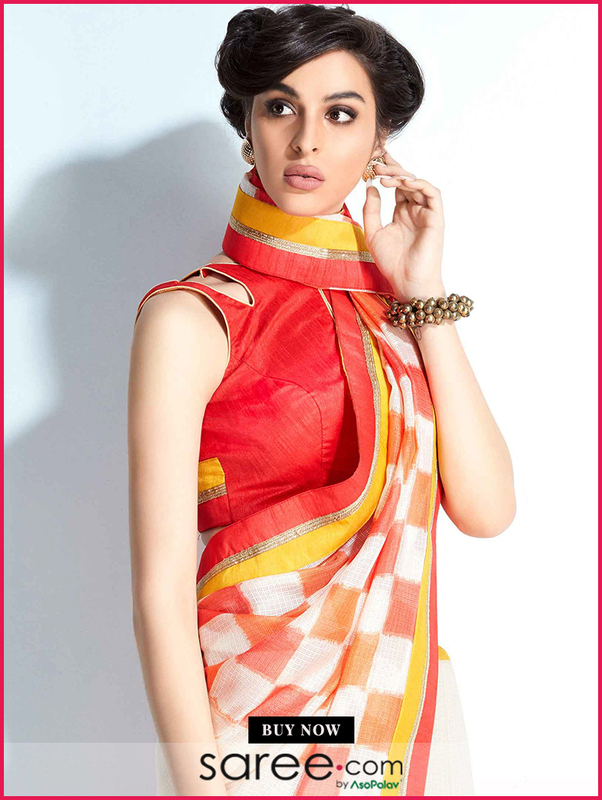 This draping style has the pallu rolled out from the back side of your neck to fall over your right shoulder. 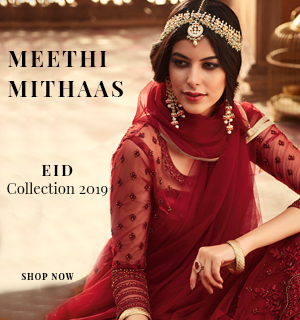 The pallu is pleated and secured on the waist with a metallic or beaded belt for formal occasions, while for casual occasions young girls also use a regular leather belt and wear their sarees with a pair of ripped denims. Well that’s some fusion! 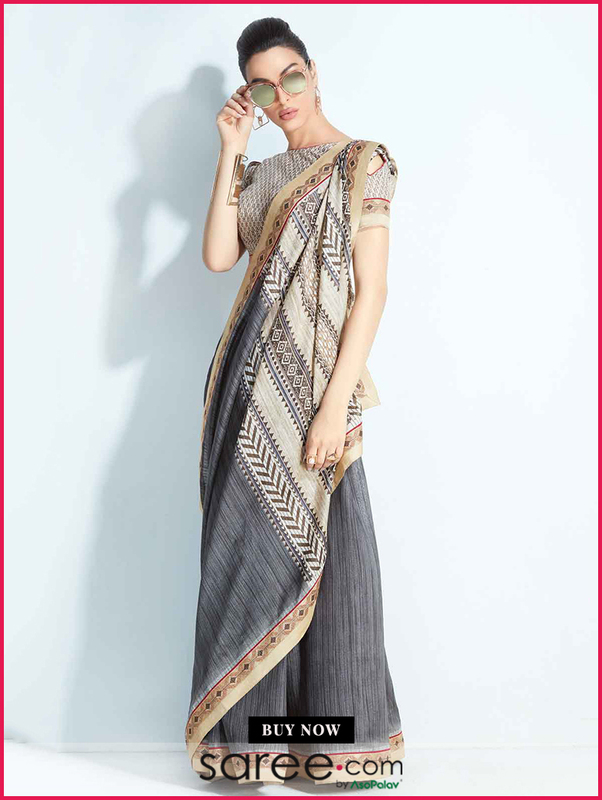 With the belt being a smart add-on for a saree, you can also play around with the pleats like seen in the image above. Belts work best for crepe sarees and other fabrics while are flowing and tend to stick to the body. How about rolling the pallu of your chiffon saree over your neck and accessorizing your wardrobe with quirky earrings and a pair of sunnies? Quite an interesting look for a retro party, a wedding baraat or a day out with your girl friends! But hey, don’t try this with your heavy silk sarees, or you’ll be choking your neck all the time. The mere thought of pleating a saree may direct you to picking up a salwar suit or any other silhouette instead. But did you know that you can just avoid the pleats right away? Yes and that’s another trending drape style. Just turn your saree around, fixing it to your skirt as your turn and pin the pallu on your left shoulder, with a fall similar to that of a Bengali saree or just keep it hanging like it’s done for a regular drape. 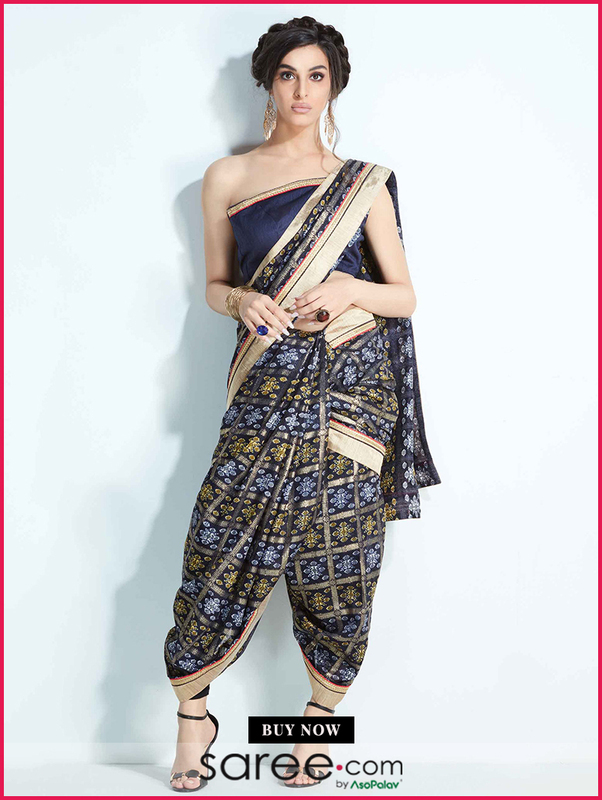 This lungi style is indeed a stress-free method of wearing a sari! Remember, innovative draping is all about experimenting! Know your body type and choose a draping style which complements your figure as well as the fabric of the saree.